Black textured-leather. 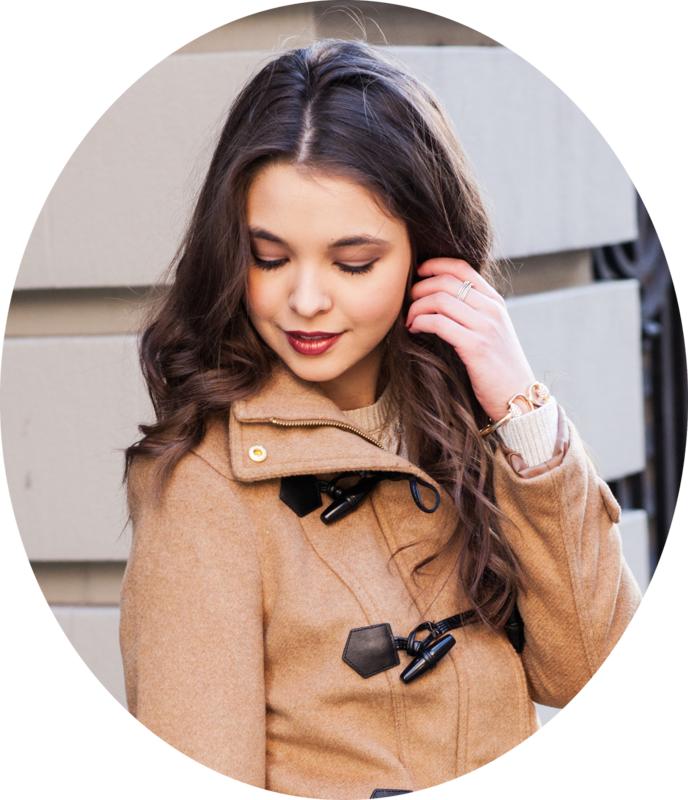 Detachable zipped shearling collar, zipped cuffs, zipped pockets, buckled belt, vented back, fully lined. Zip fastening through front. 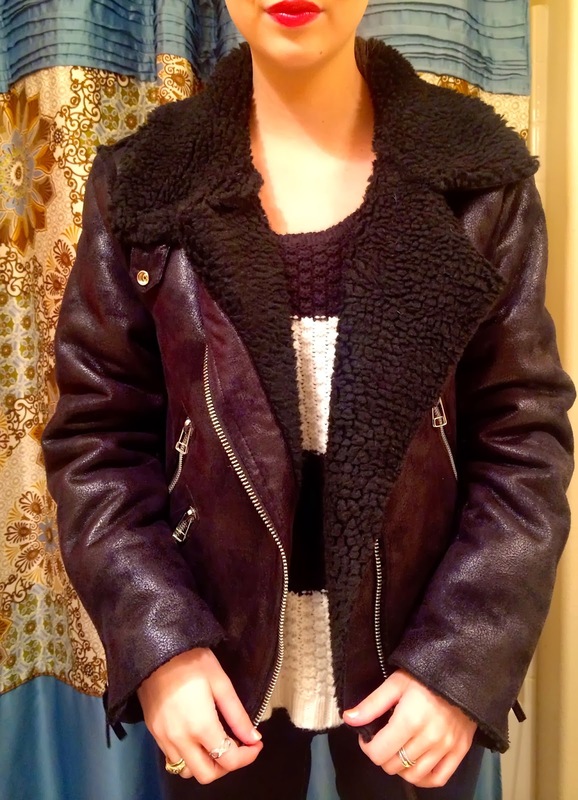 100% leather (Lamb); lining: 52% viscose, 48% cotton; collar: 100% shearling (Lamb). Doesn't this sound wonderful?! I have recently become a fan of Acne Studios through a few Norwegian bloggers that I follow. The Acne looks give off an effortless European vibe -I love the attention to detail, and quality this Stockholm based brand represents. Umm but the price tag not so much. 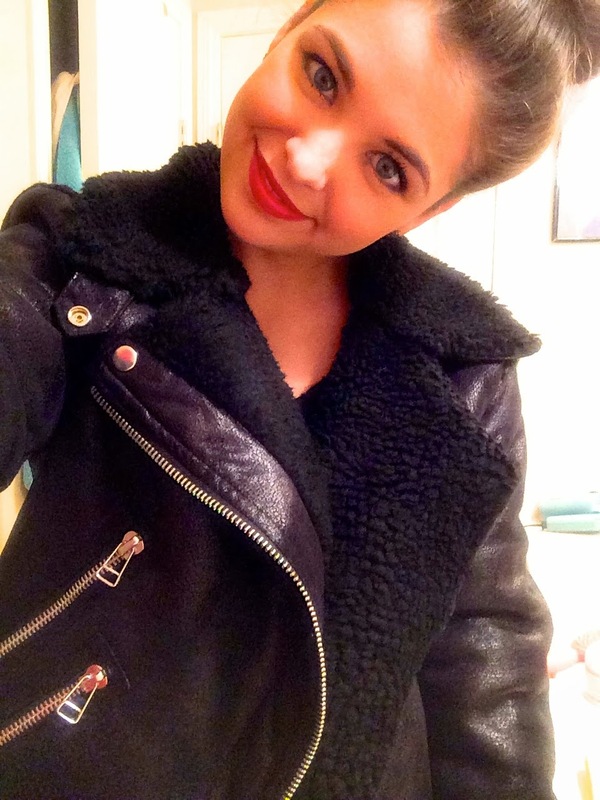 I've seen this jacket on a few blogs and I love it! 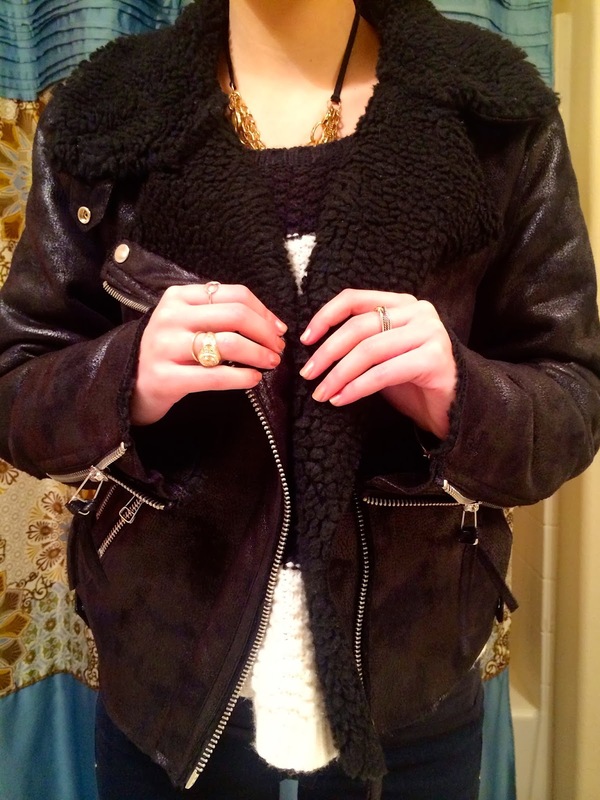 This jacket is something I wouldn't normally picture myself in, but I can't help but fall for this oversized edgy look. As a recent college grad, there is absolutely no way I could make this purchase. BUT luckily I found another alternative. I spotted an almost identical look for less here at JCPenny. Although the below MNG jacket isn't leather, it has the same look and fit (compare below). I did end up buying it for hundreds of dollars less and it's perfect! I know I'll wear it and I have been missing a nice looking black jacket in my closet. It was cold and rainy out so I decided to snap a few bathroom selfies :) Hopefully tomorrow I can do some style pics outside. Thank you :) I'm really excited about it! Thanks for checking out my blog, yours is great! Following.